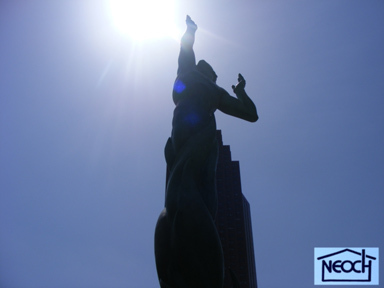 A critical piece of the Northeast Ohio Coalition for the Homeless has always been combining images to our advocacy. We have a database of some 12,000 images that we draw on to illustrate our policy positions or advocacy. We have also provided homeless people cameras and classes to learn how to use those cameras as well as some pointers from professional photographers about the art of photography. Many of these images appear on the front of our website in a slideshow. On this page we will keep an easy reference point to go back to some of these slide shows. We also have photo galleries of various special events from our past.